PMP cancer patients from around the world prove that there IS LIFE after the diagnosis of PMP! >Join the Pals and connect with other survivors around the world! Bud is a 15 Year Pseudomyxoma Peritonei Survivor! Here are three generation of our Pal, Bud's family, in Jamaica, celebrating 15 years of Bud being cancer free! Mary is a 5 Year PMP Cancer Survivor! 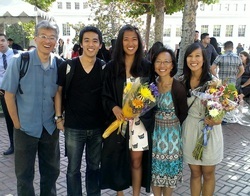 Here's our Pal, Mary, celebrating her daughter's graduation with her beautiful family! Evan is a 14 Year Pseudomyxoma Peritonei Survivor! Three generations of Evan's family gather to celebrate his good health! 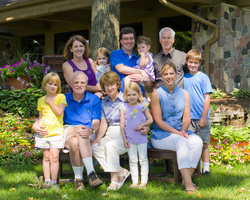 > Read nine year survivor Maureen's story about how her family helped her cope with cancer! Brian R is a Pseudomyxoma Peritonei Survivor! ...and just celebrated his one year cancer free anniversary by taking his wife on a tropical vacation! Andy is a PMP Cancer Survivor! 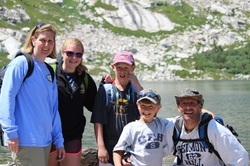 Here's our Pal, Andy, enjoying a hike with his family! >Join the Pals and connect with Andy! Jon is a 10+ Year Pseudomyxoma Peritonei Surivor! Here's our Pal, Jon, celebrating his good health with his family! >Join the Pals and connect with Jon! 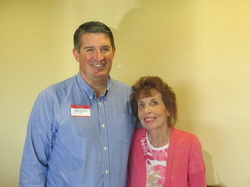 Nancy, USA, is a PMP Cancer Survivor! 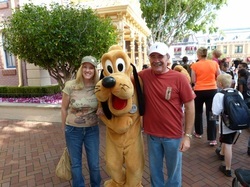 Here's Nancy, with her husband, Gary, and their friend Goofy, enjoying a day at Disneyland after Nancy recovered from PMP cancer treatment! >Join the Pals and connect with Nancy! Jim is an 8 Year Pseudomyxoma Peritonei Survivor! Jim became the proud dad of these two tiny tots after he recuperated from CRS HIPEC for the treatment of Pseudomyxoma Peritonei! Join the Pals and meet Jim and other Pals with young families! Bud is a Pseudomyxoma Peritonei Survivor! 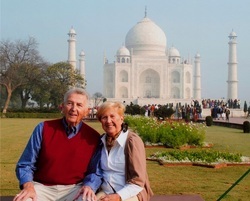 Bud and Ginny share this new photo from their recent trip to the Taj Majal! Bud has been a PMP survivor for15 years! Terry is a 5 Year PMP Cancer Survivor! 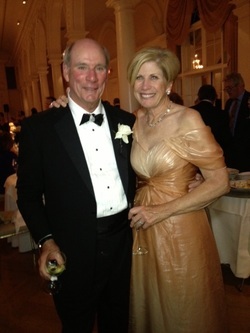 Terry danced at her son's wedding this year! Chris is a Pseudomyxoma Peritonei Survivor! Our Pal, Chris, stays fit on his custom made bike! Join the Pals and connect with Chris today! 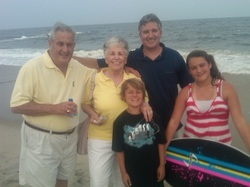 Rene, center, celebrates her birthday at the beach, with her family! She is an 11 year PMP cancer survivor! Join the Pals and meet PMP survivors! Lucia is a 10 Year Pseudomyxoma Peritonei Survivor! 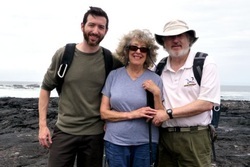 Lucia has just returned from a vacation in the Galapagos Islands with her family! Pals Get Together for Dinner! 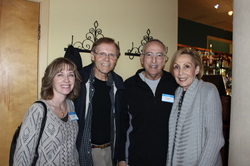 Joan, Gary, Stan and Phyllis celebrate survivorship at a Pals' dinner! Celebrating PMP Survivors and Thrivers! 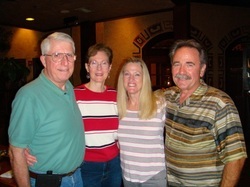 Pals Bob, Misty, Nancy and Gary enjoying dinner together in San Diego! Gal Pals Gather to for Dinner with Dr Sugarbaker! Candy, Adele, Dr Sugarbaker, Gabriella and Bev share their smiles with Pals around the world! Pals Gather for Lunch with Dr Loggie! Left to right, Pals, Mark, Gabriella, Dr Brian Loggie, Libby meet for lunch in Monterey CA! Bud, USA, is a Pseudomyxoma Peritonei Survivor! 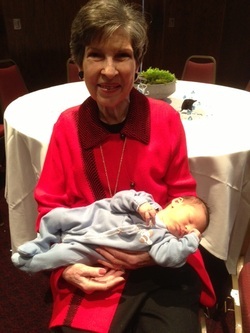 Here's Bud's most recent (last month) photo from one of his global tours! This photo was taken on the Serengeti, 2012! Join the Pals and connect with Bud! Marilyn, Australia, travels the world after CRS and HIPEC! Marilyn is a well known Pseudomyxoma Peritonei survivor! 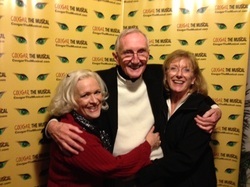 Marilyn, on the left, travels the world, following her recuperation from appendix cancer treatment! "Tuk Tuk" surrey in Cambodia! Mal is a PMP Cancer Survivor! Mal lives in Australia and shares this photo from her recent vacation to beautiful Bali! Amy is a PMP Cancer Survivor! 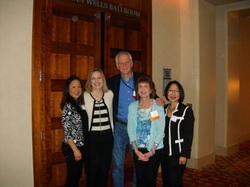 Here's Amy, center, sharing her smiles with Debbie, her nurse and Dr Andrew Lowy, her surgical oncologist! Join the Pals and connect with Amy today! Dennis is a Pseudomyxoma Peritonei Survivor! Here's our Pal, Dennis, in Malaysia, sharing smiles with his family and sending their greetings to PMP Pals' around the world! >Join the Pals and connect with Dennis! Mark and GG are Survivors! 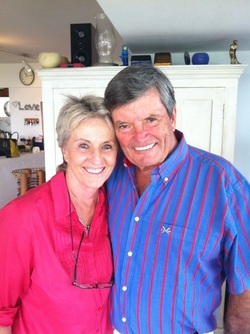 Mark and GG celebrate cancer survivorship! Brian is a Pseudomyxoma Peritonei Survivor! Brian shares this photo with his friends from back stage at a Broadway play last week! Brian has been a PMP Cancer Survivor for 15 years! Warren is a Pseudomyxoma Peritonei Survivor! 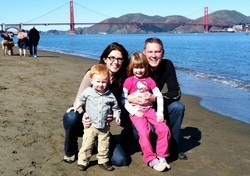 Warren cherishes life with his family! Brian M is a PMP Cancer Survivor and Thriver! 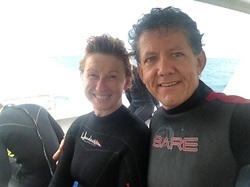 Brian returned to scuba diving with is wife, Steph, less than a year following his CRS with HIPEC!!! Join the Pals and "connect" with Brian today! 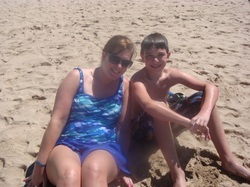 ...and shares this photo, with her son, during their recent vacation to sunny Mexico! Tony, USA, is a PMP Cancer Survivor! Here's Tony, vacationing with his wife in the Dominican Republic, recently, only seven months after recuperating from CRS with HIPEC! Join the Pals and connect with Tony! Merrily and Misty enjoy getting together for lunch! Merrily served as a Pal Mentor prior to Misty's surgery! Misty has recuperated and now serves as a Pal Mentor to other Pseudomyxoma Peritonei Survivors! Pick up the phone and begin communicating with Pals like these today! Chris, USA, is a Pseudomyxoma Peritonei Survivor! Here's Chris, vacationing with his family in Disneyland last month! Brian S is a Pseudomyxoma Peritonei survivor! Our Pal members, Linda and Brian, celebrate Brian's good check up with Dr Paul Mansfield at MDACC this month! Charlotte is a PMP Cancer Survivor! Our Pal Charlotte, is 92 years young and has been living with Pseudomyxoma Peritonei for nearly 40 years! This proud great grandmother shares her smiles with Pals around the world! Join the Pals and connect with Charlotte! 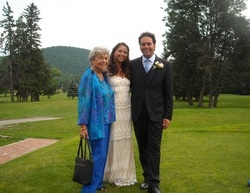 ...and danced with her husband, last week, at their son's wedding! Carla recuperated from CRS + HIPEC six months ago! Join the Pals and connect with Carla! Jeannie Celebrates Every Cancer Free Year! Jeannie celebrated her 15 year cancer free "anniversary" by hiking! Jeannie is a Pseudomyxoma Peritonei Survior! Celebrating her 14th year of being cancer free, Jeannie celebrates a new year by becoming a grandmother! 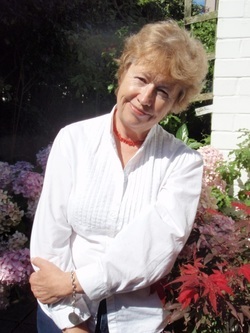 Jan, in the UK, is a Pseudomyxoma Peritonei Survivor! Our Pal, Jan, has been cancer free for more than a decade and shares this photo from her beautiful garden in the UK! Carla is a PMP Cancer Survivor! Our Pal Carla, walks four miles a day with her pet "Peaches!" Gail is a Pseudomyxoma Peritonei Survivor! 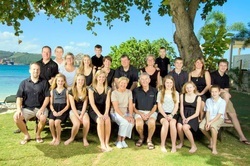 Gail, and Jeremy live in South Africa and are the parents of 11 children including a set of quadruplets! Join the Pals and connect with Gail today! Gabriella is a cancer patient advocate! Gabriella, far left, on 'Living with Cancer' show! Gabriella speaks on behalf of Appendix Cancer and "PMP" patients on radio and television, in between surgeries and chemotherapy! Adele and Donna are both PMP Cancer Survivors! 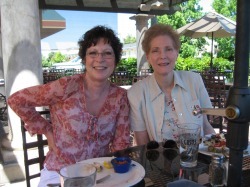 Pseudomyxoma Peritonei survivors, Adele and Donna, met for lunch today! Join the Pals and meet others in your neighborhood! Dennis, Malaysia, is a Pseudomyxoma Peritonei survivor! 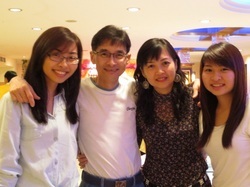 Dennis, lives in Malaysia with his wife and their two children! He is an active participant in the PMP Pals' Network and enjoys communicating with other "Pals" around the world! ...and serves as a Pal Mentor for other patients of Prof Brendan Moran! 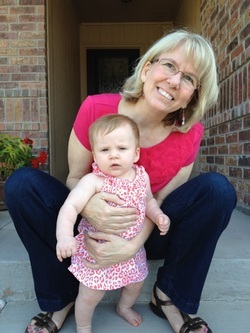 PMP Pal, Mary Anne has been disease free for a decade! 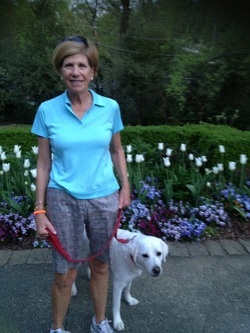 Four major surgeries and HIPEC didn't stop Mary Anne from fulfilling her goals and continuing to lead an active life following treatment for Appendix Cancer and Pseudomyxoma Peritonei! Become a "Pal" and communicate directly with Mary Anne! Andy, USA, is a PMP Survivor! Andy encourages you to be a Pseudomyxoma Peritonei survivor too! Join the PMP Pals and connect with Andy today! Jennifer, USA, is an Appendix Cancer survivor! Jennifer has recuperated from CRS and HIPEC and is now serving as a PMP Pal Ambassador for her local Relay for Life! Ken is Pseudomyxoma Peritonei Survivor! When Ken was diagnosed with PMP he didn't let that stop him from participating in bicycle races! In between four major surgeries and HIPEC, Ken has pursued his dreams for conquering bike races that others would not have contemplated! 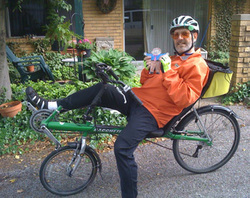 Ken travels across the country and rides his bike in as many events as possible! 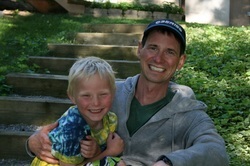 Ken serves as a Pal Mentor to other ostomates! Join the PMP Pals' Network and communicate with Ken today! PMP Pal, Bud has been disease free for a decade! Bud and his family have traveled all over the world, including an African safari, following his recuperation from CRS and HIPEC! Bud is available to share his pseudomyxoma peritonei survivorship skills with you! PMP Pal, Jon is disease free! 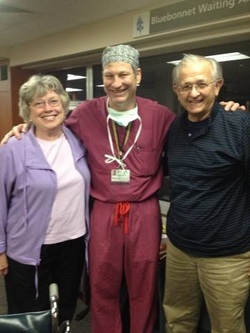 As you can see, Jon has been disease free from appendix cancer for nearly ten years! He and his wife are currently planning a trip to Europe! Ed is a Pseudomyxoma Peritonei survivor! Like many other active "Pals" Ed looked forward to getting back on the slopes following his recuperation from CRS and HIPEC! Now Ed serves as a Pal Mentor to newly diagnosed patients! Join the PMP Pals' Network and communicate with Ed! Brian gives you the "V for Victory!" Following CRS and HIPEC, Brian has been a Pseudomyxoma Peritonei Survivor for more than a decade! Join the Pals and connect with Brian today! Gary is on the go! Following recuperation from Pseudomyxoma Peritonei treatment, Gary and his wife hiked in Denali National Park in Alaska! Join the "PMP Pals' Network" and communicate with Gary! Fred specializes in close up photography of rare butterflies! He hasn't wasted any time getting back into his favorite hobby following recuperation from CRS and HIPEC treatment for Appendix Cancer! Join the PMP Pals' Network and begin communicating with Fred today! Joe appreciates being disease free! 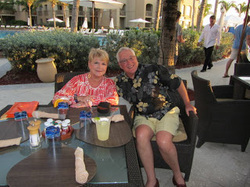 Now that Joe has been successfully treated for Pseudomyxoma Peritonei, and their kids are away at school Joe and Brenda, have time for a vacation! Eight Ways to Reduce Your Risks of Cancer! >Read these eight simple tips for staying healthy! Nine Way to Prevent Disease! We've worked so hard to beat cancer, so let's take these steps to protect ourselves, and our loved ones, from any other disease! Cancer Survivors Are Living Longer! Exercise: Essential for Cancer Survivor Wellness! Having once been diagnosed with cancer, even despite being successfully treated, and reaching a point when post treatment monitoring indicates no signs of cancer (NED), many cancer survivors continue to focus on cancer as the primary threat to overall health and well-being. This can result in minimizing or completely ignoring other health factors that may put survivors at even higher risk of death than the cancer, e.g. cardiovascular disease. Mary Sullivan, RN, DNP (nurse practitioner) and Laura Lambert, MD, (surgical oncologist) of UMassMemorial Healthcare, presented an abdominal-sparing exercise program geared towards post-HIPEC patients during the 2013 Regional Cancer Therapies Symposium. Their program is founded on the belief that physical fitness and exercise are essential to the wellness of cancer survivors. Drs. Sullivan and Lambert cited the various benefits of exercise including a reduction in stress and pain while improving overall cardiovascular fitness. They noted that cancer survivors may be at a higher risk of dying from cardiovascular disease than other members of the general public. They also reviewed recent data showing longer overall survival in patients with colorectal cancer who exercised compared with those who did not exercise. Drs. Sullivan and Lambert suggested that a fitness program for individual cancer survivors should include exercises to increase strength, stamina and flexibility. With these goals in mind, they have teamed up with a personal fitness trainer who designs exercise programs that can be incorporated into each individual cancer survivor’s daily routine from the comfort of their own home. Finally, Drs. Sullivan and Lambert suggest that healthcare providers should discuss physical fitness with cancer survivor patients at regular intervals and even consider writing a prescription to encourage patients to engage in regular exercise. Copyright © 2013 by Mary Sullivan, RN, DNP, Laura Lambert, MD and the PMP Pals' Network. All rights reserved. Todos derechos reservados. Pseudomyxoma Peritonei Survivors Focus on the Future! While recuperating in the hospital, post op, and even after returning home, some patients feel so fatigued that they may question own decision as to whether they should have selected surgery in the first place! Pseudomyxoma Peritonei patients may even ask themselves "what have I gotten myself into?" This is not an unusual sentiment especially during the first few days, post op, when a patient is confronted with an initial array of tubes, drains and machinery that one may not have anticipated. Family caregivers and friends may use these challenging times to remind patients of milestones to look forward to…weddings, graduations, welcoming new births into the family, vacations or any other positive goals that will encourage the patient during recuperation. Recuperation, which may last from a few weeks to a few months, is a temporary process. The future, with all its possibilities for a fulfilling life, lies ahead! Recuperating patients, and their families, friends and colleagues, are invited to view our SUPPORT photo galleries on the at www.pmppals.org to see the smiling faces of just a few of our many fellow patients who also recuperated and are now living active lives! If you, or a loved one, feel discouraged during the recuperation process, the PMP Pal Mentors are ready to talk with you or visit you with encouragement and resources to progress through recuperation! This article is copyrighted and may not be reproduced without written permission from the PMP Pals’ Network. The PMP Pals’ Network does not provide medical advice. Patients must seek the counsel of their own legal and healthcare professionals. Copyright © 2013 by PMP Pals’ Network. All rights reserved. Todos derechos reservados. Successful cancer survivor still has cancer! 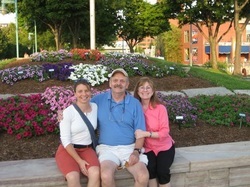 Our fellow “Pal” and appendix cancer patient, Mike, is a cancer patient success story, even though he still has cancer! Mike has experienced two surgeries for the treatment of appendiceal cancer and Pseudomyxoma Peritonei during the past five years. This active husband and father, works full time at a career he loves, traveling extensively, internationally, throughout the week to meet with his clients, then catching up with a bit of R&R and fishing at his cabin, on the weekends, when time permits. He volunteers as a Pal Mentor, lending encouragement to other cancer patients, and, in doing so, is serving as a positive role model. He appeared puzzled by my description of him being a “success.” Mike is one of the many patients who leaves the operating room, with tumors left behind, so to speak. In other words, some of his cancerous tumors are located in areas that are especially difficult to remove surgically; hence Mike he has been taking a regimen of Xeloda chemotherapy during the past two years, in order to eradicate the remaining tumors. Is “success” defined by “normal range” lab tests and “clear” CT scan reports, or by how we live our lives? Mike, and the countless patients like him, isn’t simply a cancer survivor; he’s a cancer thriver! He’s thriving at work, at home with this family, and is using his positive attitude to move ahead with chemo therapy treatment, with a plan to beat back the cancer, once and for all! I say, Mike, is, indeed, a cancer success story! Articles posted in PMP Pals and on www.pmppals.org are written from the perspective of patients and family caregivers and are not intended to substitute for licensed, professional medical or legal advice. Patients should seek the counsel of their own licensed healthcare professionals regarding their personal, specific needs. Copyright © 2013 by PMP Pals’ Network Publishing. All rights reserved. Pam is Pseudomyxoma Peritonei Survivor! 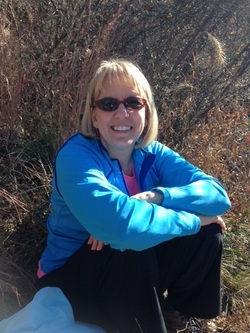 PMP Cancer Survivor Celebrates 20 Years of Being Cancer Free! Articles posted in PMP Pals and on www.pmppals.org are written from the perspectives of patients and their families and are not intended to substitute for licensed, professional legal or medical advice. Each patient is unique and should seek specific counsel from their own licensed healthcare professional. Copyright © 2013 by PMP Pals’ Network. All rights reserved. Todos derechos reservados. Thank you to our sponsors, Jacque & Scott! Copyright by the PMP Pals' Network. All rights reserved!